Another option of rotating any type of ceramic or steel jar is to have one or more jars held in a pivoting frame that rotates on trunnions mounted on bearings. 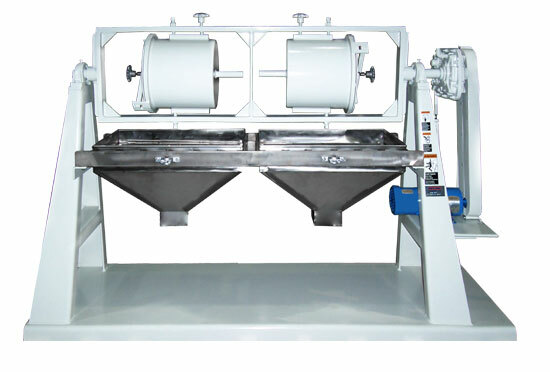 This design allows the vertical loading and unloading of jars without having to lift a heavy jar on and off rollers. Separation grates can be provides to separate the milled product from the grinding media. Jars are the most versatile and reliable milling systems for any laboratory, assay station or research department.